I am starting this thread based on the experiences and issues, likes or dislikes that are specific to the first year only C7. Feel free to post any/all comments as they relate to the ‘14. For example, when did you place your deposit? Did you pay MSRP? When did you take delivery? Teething issues in the first year? Etc. Also, since our cars can now be over 5 years old, how many miles do you have? What have you replaced (regular consumables like tires/battery, etc.). Are they OEM parts? What aftermarket mods have you done? Hopefully the thread will generate an interesting discussion. 2014 Z51 7 spd. Cyber Grey 2LT/Kalahari. 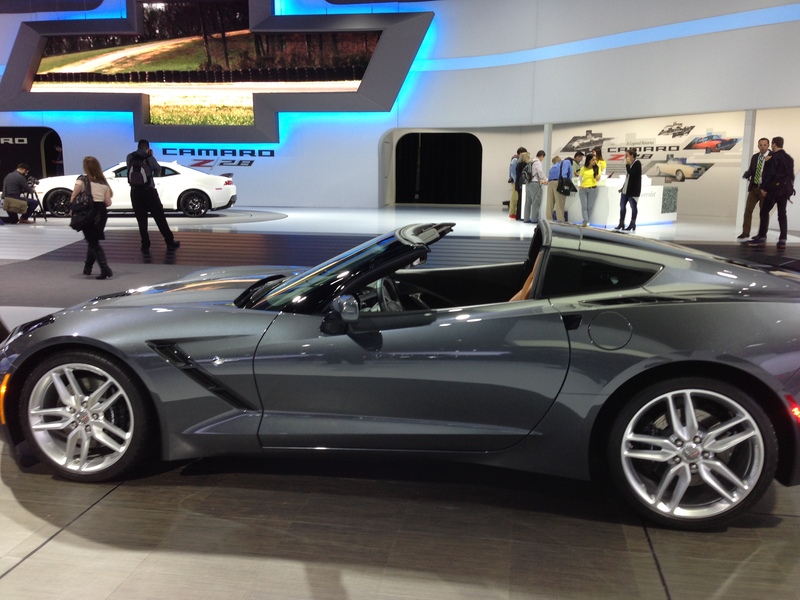 Deposit 1/13, delivery 10/13/13 from Coughlin Chevrolet, Ohio. Paid MSRP $57,500 delivered. Currently 21k miles. Replaced battery 6 months ago with OEM @ dealer. Original run flats still on. Early issues: dimming gauge cluster/info. screen needing software reboot, popping out of gear needing linkage adjustment. Oil change once a year using GM semi-synthetic now full synthetic Mobil 1. Car driven exclusively on highway trips, never tracked. Dislikes: need to keep door open to close rear hatch, low speed tire thumping, no blind spot detection. Likes: Very happy with the first year C7! Awesome handling, comfort, power(450hp more than enough) and gas mileage (27mpg. in Touring mode). My C7 was manufactured in October 2013, and was owned by three different individuals before I bought it in May 2016. It was immaculate, and sold to me at 2,300 miles with a Certified Pre-Owned warranty. Now, almost three years later and 5+ years total, it has just over 26,000 miles. I bought it because I had to have a Lime Rock Green Stingray, and I have no regrets. I haven’t had any warranty issues, except for the infotainment screen that went out. Based on what I’ve read about the A8 transmission, I’m happy to have the A6. But as an added sense of security, I did buy a GMEPP Platinum Extended warranty for an additional 60 months/50,000 miles from Dennis Fichtner. I have purchased 19”/20” wheels and rear spoiler, so I essentially have the Z51 Appearance Package. I’ve also installed the Z51 sway bars; a Tony Mamo ported throttle body; a Vitesse throttle controller; a Z06 front grill and spoiler; a Mild 2 Wild switch; Oracle color-matched side marker lights; and CQuartz ceramic coating. I have also purchased Michelin All-Season 3+ tires as my daily set (I kept the base 18”/19” wheels and tires as a backup or track set). I recently had to replace my battery for the first time. Other than that, this thing has been an angel. Plus, I now hold the title, free and clear. BTW....Did I mention I love this car? Last edited by twowinns; 03-04-2019 at 09:35 PM. jsvette, elegant, Ateupjoe and 4 others like this. @twowinns: I love the Lime Rock Green which I first saw displayed at the Lime Rock Park track in CT in 2014. The metallic green really pops in the sun. It’s a shame that some of the early colors on the C7 were dropped and only limited runs were produced (but great for collectibility). My daughter lives in Allen and my son in Austin. 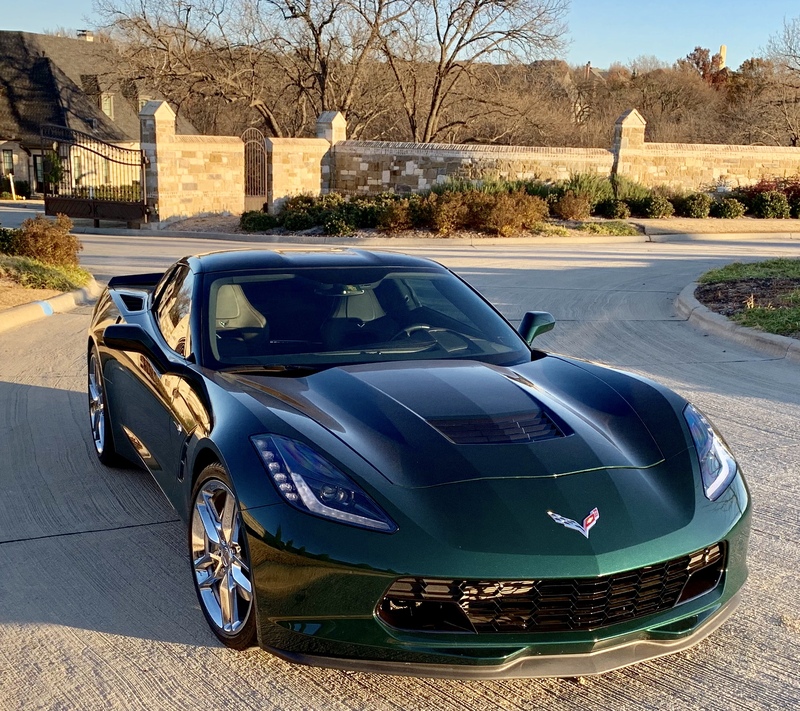 Texas hill country has great roads to enjoy a C7 and I bet you get a lot of thumbs up when you drive that LR Green C7 around or at the local cars and coffee. Last edited by twowinns; 03-04-2019 at 05:38 AM. Ateupjoe and Milliwatt Rob like this. Loved my 2014 Z51, had zero issues with it during my period of ownership (4.5 years). Ordered in April 2014, delivered late June 2014. Don't recall all the codes, but it was a 2LT Z51, M7, NPP, no NAV, no Mag. Ride. I paid whatever the MSRP was back then, believe it was just over $65K out the door. Drove the car from New Hampshire to Cali, then shipped to Honolulu. Used the car as my daily for the next few years with no issues. Car was serviced regularly, oil changed every 3k - 4k miles, and had two recalls completed a the local dealership (filler neck replacement, & seat memory). Sold the car after being diagnosed with very advanced kidney cancer, and going through two major surgeries, one of which was bulking tumor from my spine. The back surgery made driving the M7 a little tricky for a good bit so I decided to sell that car and pick up another with an A8. The car was on the marked for just a few days when it was sold to a young Corvette enthusiast locally. Believe I had 31k on the odo. at that point, all trouble free miles. I'm now driving a 2019 Z06, which I love, but will say this... The 2014 was built a lot better than this 2019, with panel fitment/alignment being the biggest difference between the two cars. My Z must have been built on a Monday!!! That and I must admit missing the M7, yes the A8 is loads quicker than the M7, but I definitely feel a little "removed" from the driving experience when that big old "D" is selected. Again loved that 2014 & miss her. She was my first new Corvette. twowinns and joemessman like this. Great story, Boomah. I hope your cancer treatments are going well. From the NY Auto Show of April 2014. Huge interest in the car at the show. I bought the same car and trim pkg. loved the car ever since! In spite of some early teething issues I agree with the other posters that the build quality on the ‘14 was probably the best of all the C7’s. Possibly because many of the parts were still fitted by hand in the desire for initial customer satisfaction. twowinns and Mack like this. @ Boomah. Hope your treatment is going well and yes I agree that the ‘14 build quality is superb. I’ve had no squeaks or rattles in 5+ years of ownership in site of the potholed roads here on Long Island, NY. You certainly put the miles on yours. Was the NPP the optional exhaust that could be regulated by the driver? Chevy originally claimed an extra 5hp if I recall. I also remember it being quite pricey. OEM tire wear/replacements? I am wondering how many original owners still have the original Michelin Pilot SS on their ‘14 C7’s? I have mine with 21k with a good amount of tread still left. Yet I am concerned about dry rot/hardening after 5+ years. How many miles did you get before replacing them? Did you go with the OEM run flats? Since Michelin supposedly engineered these tires specifically for the C7 I’m wondering if other replacements are as good or better. I only drive my car in temps. of 50 deg. and above. I replaced mine with OEM tires at around 26,000, if I recall correctly. I've got a bit over 36,000 miles on the car now. The car's been a real pleasure. The only issues were a warranty battery replacement at about 3 months and then the fuel filler neck recall (they had to drop my gas tank). Also, after that repair, the tech forgot an electrical connector during assembly and I couldn't open my trunk, so back to the dealership once more. Otherwise, no problems, just smiles. 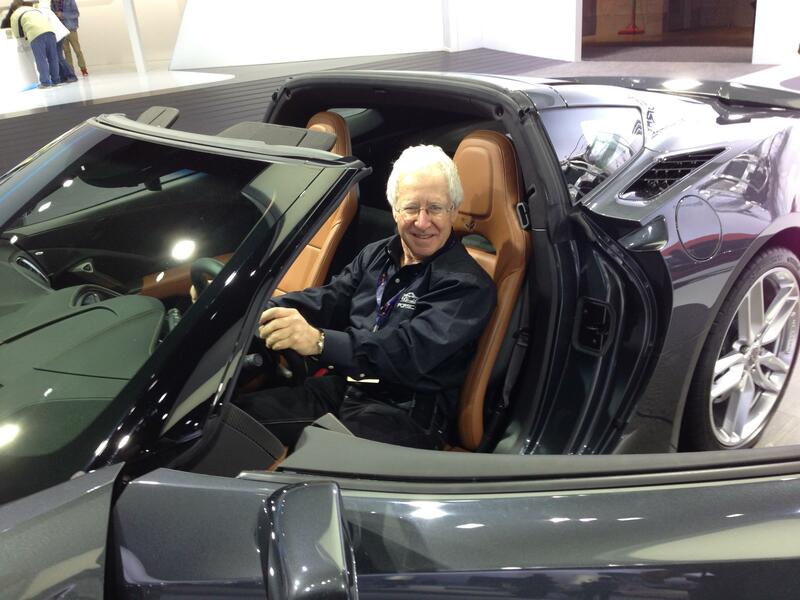 before I jumped into the Z06, I had a 2014 Premiere edition..great car except the well known dreaded radio screen flicker/failure occured right around the time my bumper to bumper expiration. Luckily the radio itself had been replaced within the last 12 months, so it had the GM 1yr warranty. I also had a leak from the bottom of the coolant resovoir...a minor issue that was quickly rectified. Other than those two items, it was a great car! I'm a 15 chiming in on the 14 thread, but queasyrider, I have found that as long as you dress your tires periodically, you should not have to worry about any dry rot or hardening. I know that when it is time to replace my OEM tires, I'll be looking for the new run flat all seasons because I like driving my vettes in all types of weather. When I sold by Wheels and Tires, on my aftermarket wheels I went with the Michelin Pilot Sport 4S and have been very pleased with the ride quality coupled with the Magnetic Ride Calibration makes for a nice ride in Touring and all the other modes and even in track mode the bottom out isn't nearly as bad as the run flats. We had a very early red on red 2014 Z 51. Never had any trouble other than she would just eat front rotors. Used three sets in 11k miles. Thank God our deal was fantastic and said he would replace them until they found a fix. And he did! Other than that the 14 was unbelievable. 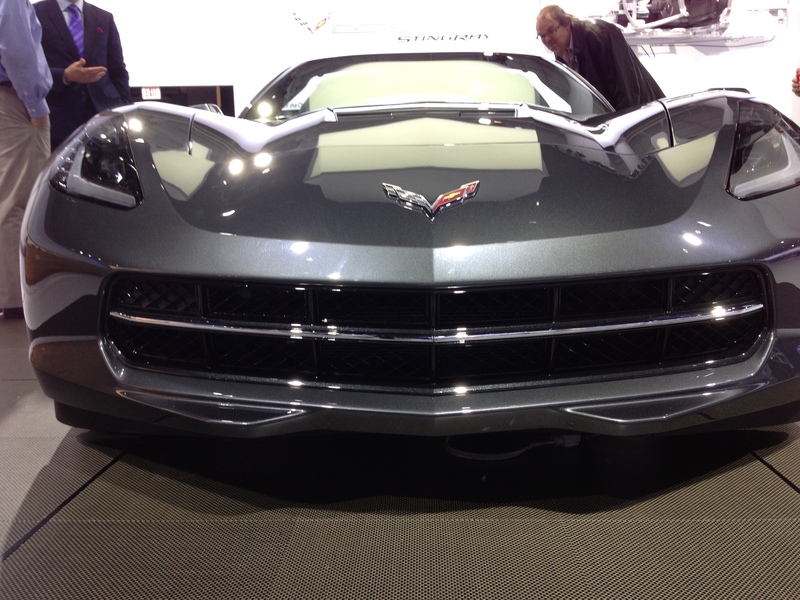 And then the Z06 came out. That’s a completely different story and I just had to have one. It is a 2016 red on black Z07/3 interior. Still have that girl and she is beautiful. Last edited by Mack; 03-05-2019 at 07:03 PM.